Located in West Town, this neighborhood is named after a wave of immigrants in the early 1900s. Opposed to it’s neighbor to the north, Wicker Park, residents here were predominantly working-class serving the wealthy living nearby. Three elaborate Churches also helped name this district, SS. Volodymyr and Olha, St. Nicholas Ukrainian Catholic, and Holy Trinity Orthodox Cathedral. 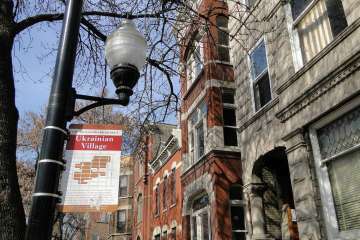 While gentrification and outmigration has diluted the Ukrainian demographic in recent years, the Ukrainian Cultural Center and Ukrainian National Museum still stand strong. In January 2016, Redfin ranked this neighborhood as the nation’s Hottest Neighborhood of 2016 based on page views and favorites on their website and mobile app.